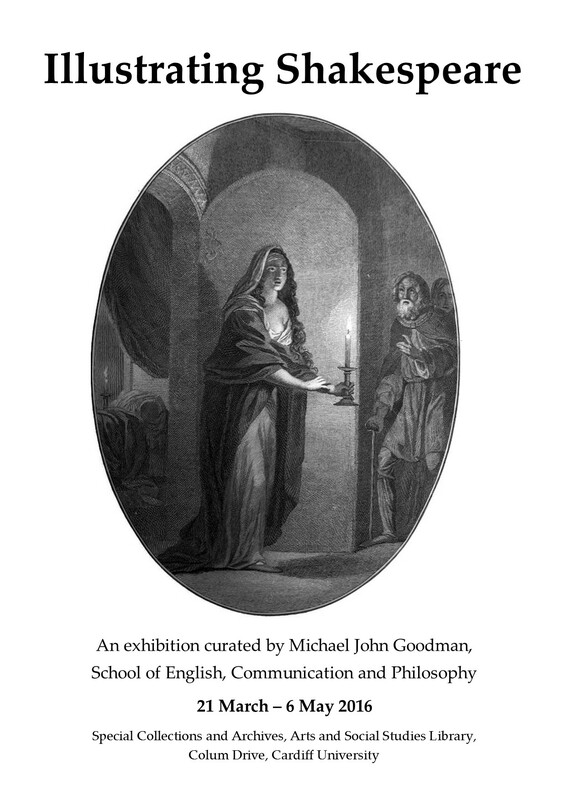 Our latest exhibition, Illustrating Shakespeare, has been guest-curated by final year PhD student Michael John Goodman. The exhibition focuses on the visual representation of six of Shakespeare’s most engaging heroes and villains. Our archivist Alison Harvey interviewed Michael to find out more about the exhibition, and his wider research on illustrated Shakespeare. A: So what was the thinking behind the exhibition? M: Well, my PhD research is focused on Victorian Shakespeare illustration and it just seemed like the right time to do the exhibition. I’m coming to the end of my doctoral work now and this year is also the 400th anniversary of Shakespeare’s death so I’m delighted that we can mark the anniversary in this way. A: Ok, let’s take a step back, then. Why did you want to look at Shakespeare illustration for your PhD? M: Shakespeare illustration is, basically, an untapped resource of vast research potential. It’s a treasure trove. When I was exploring my potential PhD ideas I couldn’t believe that hardly any work had been done in this field at all. This is amazing for two reasons: the first being that almost everything to do with Shakespeare has been covered many many times previously and, secondly, because the illustrations are hugely important culturally. A: Why is that, do you think? M: The images are important culturally, certainly by the time we get to the Victorian period, because these illustrated editions would have been the first encounter with Shakespeare that many readers would have had. They were sold relatively cheaply and were affordable to members of the working classes – a group of people who may not have been able to experience Shakespeare in the London theatre. Their experience of Shakespeare was based on these illustrated pages as opposed to the stage. As such these editions are significant as they played a very significant part in how the Victorians, for example, thought about and constructed Shakespeare. A: If they are so important, then what can account for the lack of scholarly research in this area? M: In academia there is a real fear of images. People don’t know how to read them, let alone what to do with them. So when you get a form like illustration that combines both word and image in often highly complex ways, it is easier just not to bother trying to analyse it or think about it. Historically, illustration has been considered as mere decoration, subservient to the words that it is simply embellishing. Illustration does not have the capacity to create meaning in and of itself, we seem to be told through the brevity of work that has been done. Obviously, I am coming at this from an English Literature perspective, but even in disciplines like Art History, the focus is on painting and ‘high art’; illustration isn’t considered ‘serious’ enough. These problems are magnified further when we start working with Shakespeare, because for many people, Shakespeare’s words are considered almost sacred. So we have two situations combining to create a situation where these illustrations have been ignored: the academy’s fetishisation of the word as the sole source of knowledge, and the Shakespeare scholar’s obsession with the written word itself. A: But surely without the written word, there would be no Shakespeare to study? M: That’s not quite what I’m saying. What I mean is that Shakespeare’s plays create meanings that aren’t confined to verbal discourse alone. They are plays: by their nature, they rely on an interplay between visual and verbal modes of communication. A vast industry has grown up around Shakespeare scholarship that looks at the most tiniest details of the text to explain what Shakespeare meant. As if having textual validation about Shakespeare’s intentions is a desirable thing to have. It is not. I really do not care what Shakespeare meant, but what I do care about is how, to quote the late Terence Hawkes, we mean by Shakespeare. In short, if a comma in a speech creates meaning, and is worth so much time agonising over, then surely so does placing an illustration next to that speech? And if that is indeed the case (as I suggest it is) then we need to begin to rethink how we consider the Victorians’ relationship with Shakespeare. A: This would be a good time, then, to talk about your big project that you have coming out in the next few months, the Victorian Illustrated Shakespeare Archive? M: The Victorian Illustrated Shakespeare Archive is an open access database that contains over 3,000 Victorian illustrations of Shakespeare’s plays. As it has a Creative Commons license by attribution, any user will be able to take any of the images and do whatever they like with them. The archive is the practical part of my PhD. The other part is the more traditional thesis aspect that explores how I have gone about setting up this resource in the first place. The archive came about when I was discussing this work with my supervisor, Professor Julia Thomas, and, as I have said, because the illustrations that I found were so rich, compelling and interesting, we decided I should build an archive and share them with the world! A: And when will you be launching? M: Early summer. Stay tuned. Michael John Goodman is in his final year of his PhD at Cardiff University’s School of English, Communication and Philosophy. His research focuses on Victorian illustrated editions of Shakespeare and how digital technology is changing our relationship to research and Shakespeare himself. 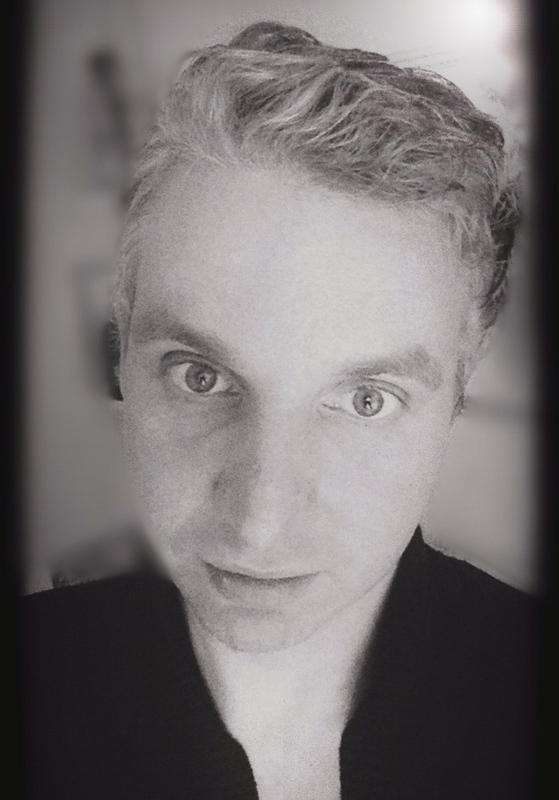 He is the RA on Cardiff University’s brand new Digital Cultures Network and can be contacted at GoodmanMJ@cardiff.ac.uk. This entry was posted in Alison Harvey and tagged 19th century, digital humanities, drama, exhibitions, illustrations, shakespeare, victorian culture. Bookmark the permalink.